iThis article is for informational purposes only and does not constitute medical or legal advice. While the cultivation, possession, distribution, and use of marijuana for medicinal or recreational purposes may be legal in certain areas, marijuana is illegal under U.S. federal law and in certain states and countries. Readers should consult the local and federal laws in their jurisdiction and qualified medical and legal professionals. Marijuana use can be harmful to certain individuals, including minors and women who are pregnant or breastfeeding. There are few things that can make a pet parent feel more helpless than seeing their four-legged baby sick or anxious. When a furry family member hurts, we want to make it better, stat. And, in the most natural way possible. As cannabis becomes more widely adopted (and less taboo), people are finding that dogs (and cats) can also benefit from the medicinal powers of the plant–especially the non-psychoactive CBD compound. The industry is getting on board, too, with tons of veterinary cannabis products hitting the market and vets lobbying for more research. Still, there’s a lot of confusion surrounding these products, and it’s hard to decipher what’s what. That’s why we tapped trusted pros to tell us why vets and pawrents are increasingly considering CBD for dogs’ ailments, from pain to anxiety to aggression. First things first: Let’s unravel the lingo. THC, CBD, marijuana, hemp–many of these words are used interchangeably, but they are not the same. Cannabis is a plant, and marijuana and hemp are considered to be different varieties. Cannabis has a laundry list of compounds, but THC (the thing that’s said to get people “high”) and CBD (associated with the medicinal qualities, with little to no psychoactive effects) are most abundant. Dr. Angie Krause of says, currently, vets recommend using CBD supplements for pets with little to no THC. “Dogs are much more sensitive to THC than humans,” she says. “The same amount that would get you high will make a dog really sick.” You’ll find that the bulk of cannabis for dogs and cats is made from hemp, which by U.S. law is required to have less than 0.3% THC. While most cases of marijuana poisoning in dogs occur when pups ingest their human’s THC-laden edibles, experts believe the compound itself isn’t the problem. Rather, it’s the lack of information for proper dosing and how different elements affect dogs. “There may be a time when veterinary supplements will contain small amounts of THC in order to bolster the pain-alleviating or seizure-reducing effects,” says Dr. Narda Robinson, founder of CuraCore (an integrative medicine research and educational center). CBD is thought to help treat anxiety, arthritis, epilepsy and seizure disorders, sleeplessness, decreased appetite, and cancer symptoms. In some studies with humans, cannabis has even been shown to slow the growth of tumors and kill certain cancer cells. The same may be true for animals. “This is purely based on anecdotal evidence, but it seems that dogs who are diagnosed with cancer have a chance of living longer when given CBD,” Krause says. Research is lacking: The federal classification of cannabis as a level 1 drug makes it hard for vets and other scientists to get the needed funding and support for studies. But, the real-world feedback is overwhelmingly positive. Skim the web, and you’ll read countless tales of doggos (and kitties!) who are given CBD and suddenly become calmer in the face of common phobias (thunder, car rides). Older dogs who were practically immobile walk around with less discomfort, and rescues become friendlier and less aggressive. “Most aggression stems from fear, and CBD can help with that,” Krause notes. Colorado State University leads the pack on veterinary cannabis studies. 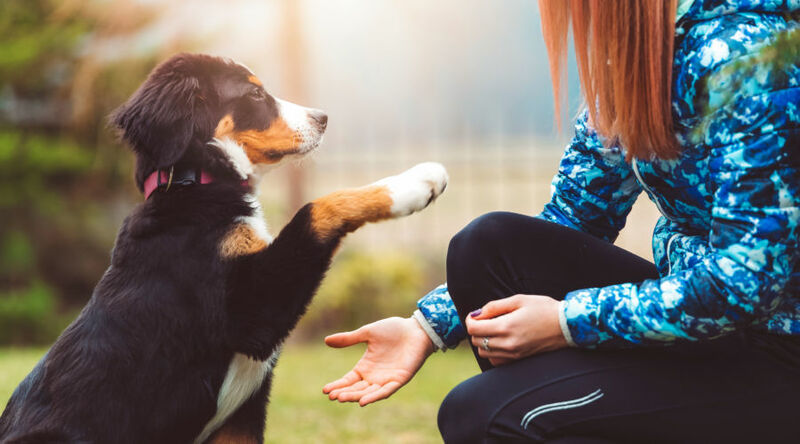 Mainly, how CBD can treat symptoms of epilepsy and arthritis, which CSU veterinary neurologist Dr. Stephanie McGrath says affects a significant portion of the canine population. Early findings are encouraging. In one pilot study, Dr. McGrath found that 90 percent of epileptic dogs who were given CBD experienced fewer seizures. How Do I Find the Right Product for My Pet? As CBD hits trending status, cannabis companies are flooding the market with pet supplements–from infused biscuits to tinctures to powders. But not all CBD is created equal. Krause says your best bet is to go for an extract, which can be more expensive, but also more effective. Oils are safer than edibles, because you have more control over dosage and what exactly your pup is ingesting. Krause is a fan of HempRx by Rx Vitamins for Pets. The supplements are made from organic hemp, and many of their products have zero THC. More importantly, the company is transparent in its production process and ingredient breakdown. Although there is no agency that regulates veterinary CBD products, companies can opt to get a “Certificate of Analysis” from a third party. Before you buy, ask brands to supply a certificate to learn how the product is made (Robinson says the main thing to look for is organic, pesticide-free cannabis–added chemicals can be more harmful to your pup than the cannabis itself) and how much THC is found in the product (remember: It should be less than 0.3% for pets). Dosing is tricky, and there is no one-size-fits-all answer.